Or just walk in at 204 Winchester St, Keene, NH 03431! Helens Nail Salon opened in April/May of 2010 and has since become one of the most popular Nail Salons in Cheshire County. 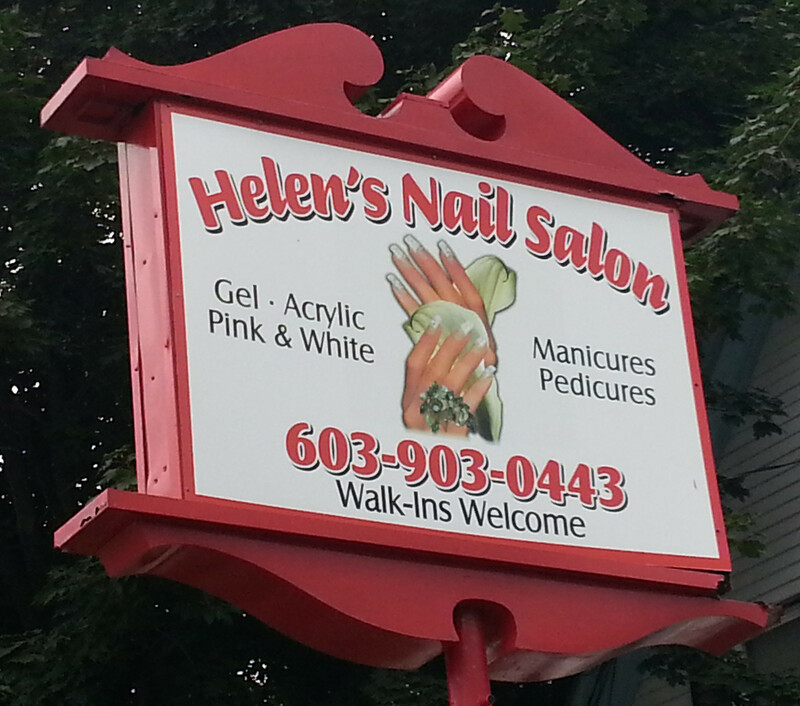 Helen, the owner, has been doing nails here in Keene since 2004 and personally knows just about every client that walks in the door. In 2010 when the salon opened it was for a simple reason; provide a great atmosphere for customers with an intimate friendly approach to beauty. Since opening Helens has won many local choice awards and strives to be the very best in the area. If the customer isn't happy, Helen isn't happy. The Salon is welcoming to all and hopes everyone feels comfortable and relaxed during the time spent in the salon. Any suggestions to make the salon a better experience of course are always welcome! So whether you are a new customer, or a long standing customer we welcome you to our shop and hope you have a wonderful day. Come down and see us as a Walk In or call 603-903-0443 and Make an Appointment. We charge no fee for missing an appointment, although we do ask that you let us know if you are not going to make it to an appointment that way we can help out anyone who walks in without an appointment. Thanks! Helens Nail Salon has contracted to have a number of New Hampshire State Board Certified Nail Technicians to give you the beautiful nails you deserve, whether they are for that special event or for an every day event we can serve you. The girls are very skilled for simple Natural Nails, Acrylic Nails, Gel Nails, Shellac, Pedicures and much more. If there is something special that you want, just call or ask us and we will do our best to give you the most spectacular nails. Currently we have 6 Nail Technicians and tables in the shop and 3 proffessional Pedicure Chairs for massaging your back while the girls pamper your feet and toes. Find us close to Keene State College and across the street from Walier Chevrolet. Any locals will recall we are in the old SoundPower building. Do you have Servers that need managing? Do you not understand Windows Servers? No matter what you need Servers and Things is here to save the day with Knowhow and down to earth cusomer service. Looking for a local Florist? For Holidays, Special Events or Weddings, JewelWeed Floristry can provide beautiful flowers and arrangements. There are many perrenials and annuals that they grow locally as well as having access to many commercially available flower strands.